U.S. Distributor is Cruiser Aircraft, Inc. Flying light aircraft to Cuba seems to be a kind of new normal. Whatever the politics of the relations between governments, the fact remains that pilots enjoy using their aircraft and want to fly to interesting destinations. To many, Cuba is one of those places, a reasonably short flight from the USA… albeit over a stretch of mighty ocean. "Exploring new destinations and sharing the joy of flight are two of the key driving forces behind Cruiser Aircraft Inc. So when plans were announced for the first VFR Air Rally," the company announced, "Cruiser Aircraft.eu CEO Oscar Starinsky and Thomas Schrade president of the company's U.S. presence knew they had to be a part of it." Cruiser Aircraft is a relatively new entity — seen earlier this year at the Sebring Expo. The new enterprise is the exclusive western hemisphere importer of Czech Sport Aircraft’s SportCruiser. 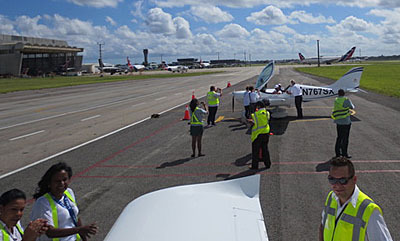 Starinsky and Schrade saw the rally as an opportunity to forge new relationships and take the first steps in revitalizing the once vibrant general aviation community in Cuba. They also sought to commemorate the first aviators to make the crossing from the Florida Keys to Cuba. "Rivals Domingo Rosillo del Toro and Augustin Parla accomplished the feat of the longest flights over water in May 1913," said Cruiser Aircraft. "Flying in SportCruiser N767SX, Starinsky and Schrade were joined by Cruiser team members Bob Harris and Erin Porter in SportCruiser N707SX," noted the company. The four set out from the company’s current base at North Perry Airport Thursday, May 18, flying to Marathon (KMTH) to gather with other VFR pilot participants along with International Air Rally organizers Catherine Tobenas and Camile Dumont. The pair gave a detailed briefing. "After filing a very specific flight plan and learning the intricacies of the specially designated military corridor to be flown by the seven aircraft in the rally, spaced five minutes apart, the group launched on the morning of May 19, 104 years and two days after del Toro’s first successful crossing," said Cruiser Aircraft. Like del Toro and Parla, the Cruiser team faced unfamiliar and possibly treacherous circumstances. This was a new experience for the pilots. "Deviating in any way from the flight plan was strictly forbidden." said the company. "The pilots were sternly instructed to follow predefined waypoints before finally reaching MUHA in Havana." "Along with people-to-people exchanges and taking in the vibrant sights, smells and sounds of Havana and its environs, Cruiser’s primary mission was realized," said Cruiser Aircraft. The also reported that Oscar Starinsky met with Ernesto Efren Adlum Segui, President of the Club de Aviacion de Cuba to "discuss a potential training center to help revitalize general aviation in Cuba and make the long-forgotten dream of flying a reality again for its citizens." 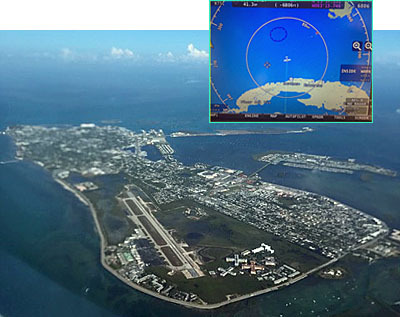 After a three-day visit in Havana, the Cruiser team returned to Florida clearing customs at KEYW before returning home to North Perry Monday on May 22. 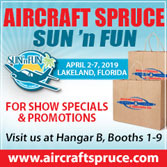 "The annual VFR Air Rally to Cuba is just one of the special experiences Cruiser Aircraft Inc. intends to bring to the SportCruiser community when it opens its new facility in Sebastian, Florida this summer," said Cruiser Aircraft. The company said their "Cruiser Club will allow SportCruiser owners to experience exciting destinations around the world in SportCruiser aircraft." 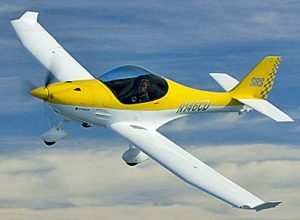 For more information visit www.cruiseraircraft.com. Cruiser Aircraft Inc. is currently based at North Perry Airport in the Miami area but reported plans to work on establishing a new headquarters at Sebastian Municipal Airport to be operational summer 2017. Flying light aircraft to Cuba seems to be a kind of new normal. Whatever the politics of the relations between governments, the fact remains that pilots enjoy using their aircraft and want to fly to interesting destinations. To many, Cuba is one of those places, a reasonably short flight from the USA… albeit over a stretch of mighty ocean. “Exploring new destinations and sharing the joy of flight are two of the key driving forces behind Cruiser Aircraft Inc. So when plans were announced for the first VFR Air Rally,” the company announced, “Cruiser Aircraft.eu CEO Oscar Starinsky and Thomas Schrade president of the company’s U.S. presence knew they had to be a part of it.” Cruiser Aircraft is a relatively new entity — seen earlier this year at the Sebring Expo. The new enterprise is the exclusive western hemisphere importer of Czech Sport Aircraft’s SportCruiser. 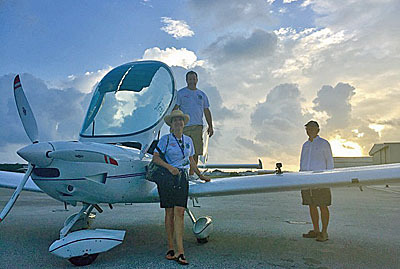 Starinsky and Schrade saw the rally as an opportunity to forge new relationships and take the first steps in revitalizing the once vibrant general aviation community in Cuba. Here we go again with another of our series of Video Pilot Reports or VPRs, this time in the Czech Sport Aircraft SportCruiser. Yes, that's the airplane for one year known as the PiperSport in the legacy company's short period in the LSA space. All the while it was represented by U.S. Sport Aircraft and that Texas-based company is once again the sole importer for the USA. In this video we take you along for a flight in the popular machine and provide you with a full cockpit review and a selection of performance numbers. Enjoy! Here we go again with another of our series of Video Pilot Reports or VPRs, this time in the Czech Sport Aircraft SportCruiser. Yes, that’s the airplane for one year known as the PiperSport in the legacy company’s short period in the LSA space. All the while it was represented by U.S. Sport Aircraft and that Texas-based company is once again the sole importer for the USA. In this video we take you along for a flight in the popular machine and provide you with a full cockpit review and a selection of performance numbers. Enjoy! Air Management Technology makes the FlyCool, a lightweight, low power draw, surprisingly effective air conditioning system for Light-Sport Aircraft or light kit aircraft. Formerly air conditioning for a GA airplane was fearsomely expensive (unaffordable, really), weighed a lot, consumed too much engine power and ... well, no surprise it didn't take off. However AMT changed all that with their all electric system. In this video hear how it works on the popular SportCruiser from U.S. Sport Aircraft. Air Management Technology makes the FlyCool, a lightweight, low power draw, surprisingly effective air conditioning system for Light-Sport Aircraft or light kit aircraft. Formerly air conditioning for a GA airplane was fearsomely expensive (unaffordable, really), weighed a lot, consumed too much engine power and … well, no surprise it didn’t take off. However AMT changed all that with their all electric system. 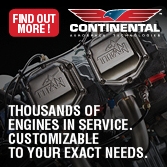 In this video hear how it works on the popular SportCruiser from U.S. Sport Aircraft. In this update to the SportCruiser, for a time known as the PiperSport, U.S. Sport Aircraft boss Don Ayers tells about the new Classic model. Using standard instrument analog gauges - often referred to a "six pack" - the Classic can be delivered for a modest cost ($120,000 in early 2012). A more deluxe version is available with many bells and whistles. In this update to the SportCruiser, for a time known as the PiperSport, U.S. Sport Aircraft boss Don Ayers tells about the new Classic model. Using standard instrument analog gauges – often referred to a “six pack” – the Classic can be delivered for a modest cost ($120,000 in early 2012). A more deluxe version is available with many bells and whistles. An exciting announcement at Sebring 2010 brought legacy brand Piper Aircraft into the Light-Sport Aircraft fold. The Vero Beach producer of more than 90,000 airplanes reported it will now distribute the former SportCruiser and they renamed the model as the PiperSport (at the opposite end of their spectrum from the PiperJet). Watch the video to see what Plane & Pilot editor James Lawrence thought of his experience with the newest Piper. 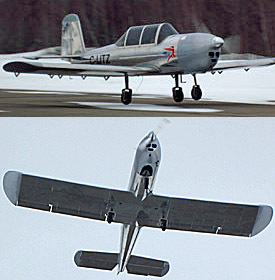 As evidence of how fast things move in the world of Light-Sport, as recently as the Midwest LSA Expo, Piper was not affiliated with the Czech Sport Aircraft Sport Cruiser (formerly built by Czech Aircraft Works). This video, shot in early October 2009, covers the airplane now known to Americans as the PiperSport. References to the CSA website have been updated but the facts about this attractive low-wing LSA remain accurate. At the end of 2009, only a select few knew Piper was entering the LSA sector. They announced the PiperSport in January and said they'd deliver the first at Sun 'n Fun, only three months later. And they did... logging not only their first delivery on schedule, but taking seven more orders right at Sun 'n Fun 2010. With over 100 SportCruisers (the PiperSport's previous name) and expecting to sell 75 in 2010, Piper will move up the sales rank smartly. In this video, we check out the cockpit fully. At the end of 2009, only a select few knew Piper was entering the LSA sector. They announced the PiperSport in January and said they’d deliver the first at Sun ‘n Fun, only three months later. And they did… logging not only their first delivery on schedule, but taking seven more orders right at Sun ‘n Fun 2010. With over 100 SportCruisers (the PiperSport’s previous name) and expecting to sell 75 in 2010, Piper will move up the sales rank smartly. In this video, we check out the cockpit fully. This month, I had an email exchange with a leader in aviation. I debated if I should reply. For a time, I did not but I felt compelled given the person's stature. I was driven to attempt informing those this individual might influence. I further pondered if I should write an article about it, but I feel one must confront potential errors if for no other reason than to promote healthy dialogue. Cessna Skycatcher sold briskly for a time but was withdrawn from the market after more than 270 were delivered. Is that a failure? I am not to going reveal with whom I had this exchange. Personality isn't important to the discussion but this person expressed what I suspect represents the opinion of a fair share of general aviation pilots, at least those who have not fully explored recreational aircraft such as LSA, or light kits, or ultralights. The following comes from our second round of email. In the first, the writer referred to LSA "market failings" and I asked what was meant. The person wrote, "As for the 'LSA market's failings,' I'll point to a few: Cessna Skycatcher dead and gone, Piper and Cirrus both abandoned the market after fitful starts." My reply: I would not in any way call those market failings. I would call them the market functioning quite perfectly. Cessna Skycatcher was not the product the market wanted; even their own dealers or flight schools generally didn't embrace it. As they worked on the design, people told them they made poor choices (engine, vertical tail volume, more) but Cessna felt they had to do it their way. I write this a big fan of Cessna; I did much of my early flying in Cessnas, have flown them many hundreds of hours, and I've owned three. Rather than develop their own model, Piper chose... to contract with Czech Sport Aircraft to rebadge their existing SportCruiser LSA as the PiperSport. They sold more than 70 in one year. I'm not sure that qualifies as a market failing. Cirrus planned to represent the company-named SRS. This model flew for years before in Europe and still does as the Fk14 Polaris. It may return to the USA under the European name and will be represented by Hansen Air Group. Cirrus also selected an existing model. However, they insisted on "Cirrus-izing" their SRS model and got so deeply into it that they never made it to market. That model, known as the FK Lightplanes FK14 Polaris is quite successful in Europe. It comes from a manufacturer still producing, one that has been in business quite profitably for nearly 30 years. Therefore, I'd hardly call that a market failing either. I implored of this other aviation leader... "Market failing" is such a negative term, especially when it may be incorrect. I hope you will consider not repeating it. Let's keep it positive. I could not rest with the preceding. The naysayer's general viewpoint appears to represent what I'd call a common myopia among American pilots who fail to consider the rest of the world. Here is a link to an article recently published by General Aviation News that gives more detail. Summary factoid: In 2014, the General Aviation Manufacturers Association (GAMA) reported deliveries of 969 single engine piston certified aircraft worldwide. For comparison, LSA-like aircraft sold around the world in that year exceeded 3,000 units. The negativity continued with the other writer stating, "Several of the LSAs that remain on the market have poor flying qualities... and prices for LSAs are higher than what was anticipated at the start." My reply: Yes, some LSA prices are much higher than we once expected but most of those are all-carbon-fiber, full glass-paneled aircraft with autopilot, ADS-B out, airframe parachutes, leather interiors, and more such deluxe equipment that customers demanded. As we all know, such fancy gear adds considerably to prices even without high certification costs. For a few months named PiperSport, the more permanently named SporCruiser was previously and is still successfully represented by U.S. Sport Aircraft. We also have perfectly airworthy (as judged by FAA designees) and fun to fly airplanes available for $50-75,000, which, given inflation, is actually less expensive than we forecast. Those prices are for three axis, fixed wing aircraft but if you will accept a gyroplane (still only a kit LSA, due to FAA's reluctance to fix this), a weight shift aircraft, or a powered parachute, the prices can be much lower. You may not care for those aircraft but many pilots do. They fly like a duck... etc., so any new aircraft that satisfies is a good thing — they keep pilots flying — and their prices can dip below $30,000. In 2004 dollars that's less than half what we once forecast. Forecasts of market functions — like weather forecasting — are often wrong. In 2003 and 2004, no one, myself included, correctly guessed where the LSA market was headed. Flying qualities can be very subjective; it depends what you want, are ready for, and what mission you have for the airplane. I've flown some certified airplanes that have less than optimal flying qualities. An H-model Beechcraft Bonanza I loved had a nightmarishly complex fuel system and my insurance check instructor absolutely forbade me from deliberately stalling it. BushCat (along with a few other brands) is a great example of how LSA prices are actually lower than once expected if compared in constant dollars. Finally the writer added, "Very few LSA makers are thriving financially, and several are barely hanging on." My reply: I will not say that is wrong as I have no access to their accounting documents, but companies like Tecnam, Pipistrel, Aeropro, AutoGyro, and several others seem to be doing quite well. Would you expect every single manufacturer to thrive financially? If that is a requirement for market success by your definition, then the GA Type Certified market is not particularly healthy either. While I would not disagree that some producers are suffering in a lethargic world economy, "hanging on" is still in business. Indeed, only a few of the 90+ manufacturers have departed the LSA market permanently. If I look at general aviation companies like Maule and Eclipse (contemporarily) or Bellanca and Navion (from days gone by), I see TC producers that are not even hanging on anymore, or marginally so. Again, this is the market working, not failing. This is much like an economic recession being a corrective occurrence as it redirects malinvestments to better purposes. Our exchange also included talk about FAA Part 23 rewrite project about which this person also has reservations and I responded to those comments as well. However, the above is enough for now and makes my point, I hope. If you have comments about this article and the opinions of the other writer or my replies to that person, feel free to post them on my Facebook page, where I've posted a brief preview to this article. Chart Sources: LAMA and LAMA Europe; ByDanJohnson.com Market Share Info; GAMA; Recreation Aviation Australia; and, other individuals that offered input. Best Effort Statement: While care was taken and broad experience was applied to the counting, considerable interpretation was needed to create this chart. National figures are based on reports from many countries, laboriously assembled by GAMA, a study made significantly more difficult by widely varying reporting systems that define aircraft differently and group them by differing methods. GAMA's numbers were then further interpreted based on expert knowledge. For Further Comparison: The U.S. type certified single engine piston (SEP) fleet — accounting for an estimated 80% of the global fleet of such aircraft — numbers 137,500 aircraft. Worldwide, the TC SEP fleet may count 165-175,000 aircraft; all other countries have about 20% of the global total. As we can identify about 13,000 LSA-like aircraft in the USA, America represents about 20% of all such recreational aircraft in the world; 80% are operating in other countries. This month, I had an email exchange with a leader in aviation. I debated if I should reply. For a time, I did not but I felt compelled given the person’s stature. I was driven to attempt informing those this individual might influence. I further pondered if I should write an article about it, but I feel one must confront potential errors if for no other reason than to promote healthy dialogue. I am not to going reveal with whom I had this exchange. Personality isn’t important to the discussion but this person expressed what I suspect represents the opinion of a fair share of general aviation pilots, at least those who have not fully explored recreational aircraft such as LSA, or light kits, or ultralights. The following comes from our second round of email. In the first, the writer referred to LSA “market failings” and I asked what was meant. Learn to Fly and Have Fun. Is that Wrong? Catch our own video in this SportCruiser aircraft review, one of around 500 videos we've produced since 2008. Flying is serious. You can ... well, perish, perish the thought. Of course, you are vastly more likely to die in a car or maybe even in your bathtub. We all know that. We also know that aviation has not earned an enviably good safety record by emphasizing pure fun. The "fun" part may be implied but is that a bit too dry if we hope to attract newcomers to aviation? For many years a long while back I was involved with hang gliding. I ran a dealership and flight school in the mountains around Chattanooga, Tennessee. I want to tell you that folks who jump off mountains in hang gliders know how to have fun. OK, technically, you don't "jump off" mountains — you "launch" — and while those pilots do have fun, they are zealous about safety. In the early days, way back in the '70s, the sport suffered a rash of accidents but today you very rarely hear about a hang glider accident. Fun, however, was most definitely part of the motivation to learn the sport of flying hang gliders. I believe this shows you can have fun in aviation even while being a stickler for safety. Recently I became more aware of how one Light-Sport company is pushing hard to make themselves look like the FUN guys in Sport Pilot training. To get an idea, check out the video below. I trust you enjoyed that and got the humor involved in claims like, "We've been to the International Space Station." Look, I completely get what these fellows are trying to accomplish, led by rising YouTube star, Nathan Rausch — repeatedly whipping off his sunglasses in imitation of David Caruso playing Lieutenant Horatio Caine on "CSI Miami." Flying doesn't have to always be so deadly serious and many believe you should have a good time learning to fly. U.S. Sport Aircraft is creating a whole series of videos to showcase their efforts. You can sign up here. People seem to like USSA's videos making comments such as: "I just watched your video last night and was dying laughing..." or "I wish I had watched your flight training series before I started training at my current school." Team USSA say their goal with their video channel is to highlight various aspect of their company including flight training, aircraft sales, fractional ownership, aircraft maintenance, and SportCruiser flight tours. I recall the former Saturn automobile company focusing on building a community of their owners and USSA aims to do the same, referring to their "country club atmosphere." In the age of social media, including YouTube, it makes sense to use new methods to attract new student pilots. The old way is, well, old. I want to encourage USSA's fresher approach Flight school manager Nathan said, "When we started these videos we were aiming to educate people about aviation. Then we started to add comedy and we realized that we hit a nerve that has made us really popular among viewers. People want to be entertained." Getting a bit dryer about what USSA offers, I want to present some points that help define the company in more concrete details ... and I promise not to metaphorically whip off my sunglasses while doing so. In the greater Dallas/Fort Worth area, U.S. Sport Aircraft, based at the Addison airport (KADS) is about the only Light-Sport-equipped flight school in the area, Nathan confirmed. USSA reports maintaining 5-10 aircraft in their flight school training fleet They say they have an average of 50-75 full time students in flight training at any given time They say many new SportCruisers are sold every year USSA has 18,000 square feet of maintenance space They offer 18,000 square feet of showroom and flight school with three classroom work areas Students have the option to preflight in-hangar (out of the elements) They offer monthly weekend Sport/Private certificate ground schools USSA's SportCruiser Flying Club hosts 2-3 SportCruiser trips every year; generally overnight adventures to destinations 200-400 miles away drawing 10-15 participants Owners can partake of USSA's SportCruiser Owner Concierge Program including aircraft fueling, washing, and hangarage Since nearly the beginning of Light-Sport, the SportCruiser has been one of the top-ranked sellers. More than 200 aircraft appear in the FAA N-number registry. With this gang of gung-ho USSA'ers running the show and finding the time to make watchable videos, it would appear they can keep the operation running a full tilt for years to come. Flying is serious. You can … well, perish, perish the thought. Of course, you are vastly more likely to die in a car or maybe even in your bathtub. We all know that. We also know that aviation has not earned an enviably good safety record by emphasizing pure fun. The “fun” part may be implied but is that a bit too dry if we hope to attract newcomers to aviation? For many years a long while back I was involved with hang gliding. I ran a dealership and flight school in the mountains around Chattanooga, Tennessee. I want to tell you that folks who jump off mountains in hang gliders know how to have fun. OK, technically, you don’t “jump off” mountains — you “launch” — and while those pilots do have fun, they are zealous about safety. In the early days, way back in the ’70s, the sport suffered a rash of accidents but today you very rarely hear about a hang glider accident. New president of U.S. Sport Aircraft Importing, Patrick Arnzen, checks out one of his company's aircraft at their Addison, Texas home base. Piper renamed SportCruiser to PiperSport for a year period. (Article udated) One of the most recognized aircraft in the LSA space is the SportCruiser, which ranks high on our LSA Market Share ranking (2012 figures). Solid in the #4 spot, they are likely to move up with another decent year in 2013, thanks to what some might call the "halo effect" of having had the Piper name on the airplane (photo) for a year, and now, a new owner. Don Ayers retired and handed the reins to his partner and new company president, Patrick Arnzen. Some thought that Piper's quick in and out might be a negative, but that would be incorrect. Ayers once told me that his operation was the key company before Piper, during Piper, and after Piper so not much really changed other than temporarily wearing the Vero Beach company's colors and gaining from their promotion. In a recent conversation, Patrick explained the various activities that keep them busy including a bustling flight school operation in Addison, Texas (KADS). Naturally, they regularly assemble airplanes that arrive from Czech Sport Aircraft (CSA). The southern Czech company shook off the cobwebs from former ill-equipped management and has progressed well. In fact, they just appointed a new European distributor with the catchy business name Star in Sky as the manufacturer's representative for Slovakia, Czech Republic and Hungary. In Europe, CSA refers to the airplane as the PS-28 Cruiser in a subtle nod to the old Piper numbering scheme, but VP of sales Matthew Harvey assured us in a video we shot at Aero 2013 (to be posted soon) that it is indeed the same airplane as American know. He reported that 500 of these aircraft have been produced, of which about 150 are flying in Europe. With around 200 flying in the USA, the company has done respectably well in the global market for light aircraft. SportCruiser also earned Type Certification for VFR Day operations according to EASA's CS-LSA regulations and is fully accepted by FAA in the U.S. CSA is also very pleased with the U.S. representative, with Harvey saying earlier, "We set ourselves a huge sales target of 30 units for the USA in 2013 and we really are delighted to be close to achieving this." Indeed, our LSA registrations report to come out soon confirms the success of the American company operating as U.S. Sport Aircraft Importing (several videos on the SportCruiser models are available at the preceding link). SportCruiser is available with dual-screen 10-inch Dynon Skyview instrumentation together with additional enhanced features. 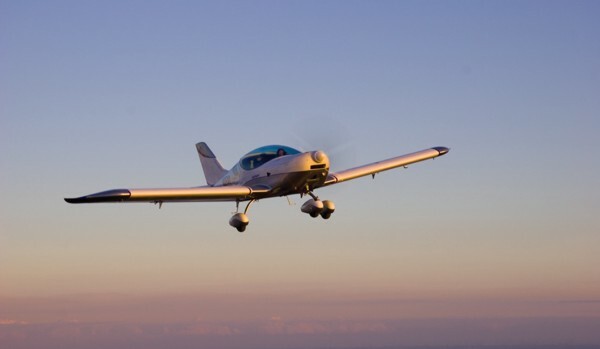 CSA also referred to a new SportCruiser SVAP Light is based on the increased demand from the U.S. market for an entry-level Light Sport Aircraft that combines affordability and advanced features with the flexibility to upgrade. This version is also the result of an extensive weight reduction exercise carried out by Czech Sport Aircraft engineers, resulting in an increased useful load. 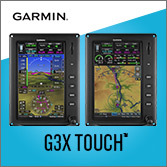 Both new models are equipped in 2013 with Garmin 796 GPS and ADS-B Receiver. In addition, Czech Sport Aircraft continues to supply the SportCruiser Classic with analog instrumentation. 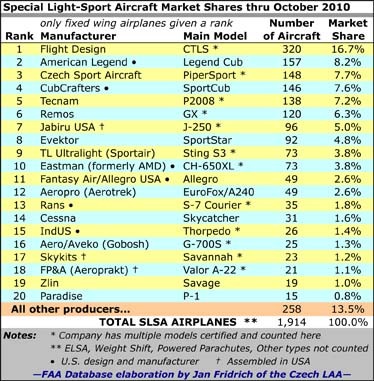 (Article udated) One of the most recognized aircraft in the LSA space is the SportCruiser, which ranks high on our LSA Market Share ranking (2012 figures). Solid in the #4 spot, they are likely to move up with another decent year in 2013, thanks to what some might call the “halo effect” of having had the Piper name on the airplane (photo) for a year, and now, a new owner. Don Ayers retired and handed the reins to his partner and new company president, Patrick Arnzen. Some thought that Piper’s quick in and out might be a negative, but that would be incorrect. Ayers once told me that his operation was the key company before Piper, during Piper, and after Piper so not much really changed other than temporarily wearing the Vero Beach company’s colors and gaining from their promotion. In a recent conversation, Patrick explained the various activities that keep them busy including a bustling flight school operation in Addison, Texas (KADS). DRAMATIC FLYER - There's nothing like a smooth flight near sunset. The PiperSport is not an entirely new entry, but with representation from one of the country's leading general aviation producers, it is gaining a fresh start. Legacy Brand Enters the LSA Market The U.S. 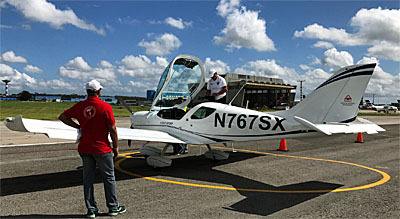 Sport Aviation Expo held in Sebring, Florida, every January has become the place where new flying machines and other aviation products for the light aviation crowd are unveiled to the public. It's exciting to start the year off with a bang, and understandably this show has drawn increasing crowds. Yet like all events, it has evolved. In the Expo's formative years, media attendance was fairly light. When a company called a press conference, they generated only a handful of reporters and photographers. In many ways the 2010 event revealed a new media attention to the Sebring show. For proof, you had only to attend Piper Aircraft's opening-day press conference. This is all the more surprising as Piper never before exhibited at Sebring. All that changed with the introduction of the newly rebadged PiperSport. When they took the wrapping off their new models, a large crowd of media folks and the general public pressed close to get a gander and hear Piper leaders speak. Cameras clicked and recording devices captured every word. Piper and LSA Company officials referred to the 1940s-era Piper Cub as an original Light-Sport Aircraft, even if that phrase wasn't around when their pretty little yellow tandem 2-seater made its first appearance 70 years ago. So, some could be forgiven for thinking the new Piper LSA might be a new version of the Cub. * Payload assumes a full fuel load for each model In other categories figures were compared as equally as possible; get more details from Piper. All figures derived from company literature. Indeed, public support might have backed such a move. Of the top five best selling LSA in the fleet, two are Piper Cub-like replicas: one from American Legend and another from CubCrafters. Yet, Piper showed it doesn't operate in the past. 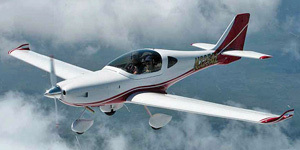 The Vero Beach legacy brand offered a modern Special Light-Sport Aircraft. Under a veil of secrecy, they prepared a Piper-branded version of the Czech SportCruiser, which was one of the best sell- Light Sport and Ultralight Flying Pilot's Reporting SLSA even in the difficult year of 2009 and despite a major transformation in the Czech company's leadership. Czech Sport Aircraft will continue to manufacture the PiperSport; Piper Aircraft is only acting as the U.S. distributor for the PiperSport. Now with Piper's support, you can reasonably expect this sweet flying model to take off in 2010. At Expo 2010, Cessna showed its first SkyCatcher production model, owned by none other than the CEO's wife, Rose Pelton. However, Cessna also announced a 6-to 10-month delay in further manufacturing as they retool the line for changes made after two spin incidents. This may provide Piper with a chance to jump toward the head of the line with the PiperSport. Piper has also embraced the current dealer network that had been selling the SportCruiser. Combining Piper dealer outlets and those already working in the LSA field with a production line ready to send PiperSports to the USA should give a significant boost to the long-time producer of more than 140,000 airplanes. As recently as last summer no one forecast Piper's entry, illustrating the dynamic and fast-developing nature of Light-Sport Aircraft. "With the PiperSport," company president and CEO Kevin Gould said at the press conference, "Piper is entering what is undeniably one of the most exciting market segments in general aviation. 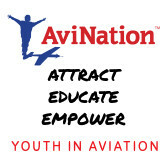 This burgeoning segment is becoming vital to our industry and playing an ever-increasing role in developing general aviation's next generation of pilots." Full Line Producer The contrast may be interesting to many, what with Piper offering a wide range of general aviation airplanes from the PiperJet to the PiperSport. To better put this in perspective, check this chart: Valued in knots per purchase price dollars, the PiperSport comes in at $1,000 per knot, where the top of the line PiperJet is $6,111 per knot and the Meridian is $7,775 per knot. In other comparisons - such as range for dollar or payload for dollar - PiperSport remains the value leader. This is hardly surprising as the PiperSport is way less than half the cost of the nearest model, and it helps Piper to offer a very broad line of aircraft to suit buyers of all types. Especially notable in fuel burn comparisons, the PiperSport smokes all the other models by a wide margin, and that's before considering the cost advantage of using mogas when available, or the fuel and noise impact of flying Light-Sport Aircraft compared to any other. 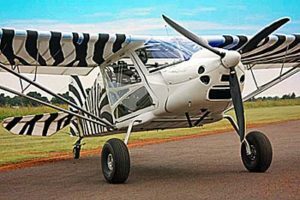 It's no stretch to say that in our modern, environmentally sensitive age, Piper needed LSA Into this tasty brew let's add the solid brand of 72-year-old Piper Aircraft and what that means to potential buyers of a Light-Sport Aircraft. With 27 Piper dealers and 65 service centers, the company offers a network exceeded only by Cessna Aircraft (though several top LSA producers are closing on those numbers). STUDIO SHOT - This handsome photo is the work of a professional using a studio and shows the smooth lines of the Czech Republic-built LSA. Flying the PiperSport Before we begin with a flight review, please understand the following comes from an experience with the Czech Aircraft Works SportCruiser. Piper plans a few changes to "Piper-fy" the PiperSport so a follow-up flight review may be necessary, but for now, officials and dealers alike say the current PiperSport flies identically to the SportCruiser. That disclaimer made, let's go flying! Even before Piper entered the picture, the SportCruiser benefited from the freedoms implicit in ASTM standards. 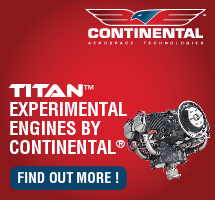 Changes can be made quickly, much more than for type-certificated aircraft. Within its first year, the SportCruiser entered its second generation, highlighting a lower, smoother line to the canopy (the first one bubbled quite a bit higher) with a new composite canopy frame structure. Seats were also lowered a small amount. Cabin width grew from 41 to almost 46 inches from early models to the present. ALREADY POPULAR - The PiperSport is the rebadged Sport Cruiser, one of the better selling Special Light-Sport Aircraft even in the down year of 2009. Instrument panel space was also increased. A broad cabin must also accommodate a tall pilot and PiperSport does so with adjustable rudder pedals rather than adjustable seats. "We can fit a 6-foot-6 pilot weighing 280 pounds," reported a company official, stressing the legroom as one of the PiperSport's great qualities. The roomy cabin includes an ample baggage area plus hat rack, and the new model has an excellent useful load of 600 pounds, though the standard parachute will cut modestly into payload.With full fuel of 30 gallons, the PiperSport can still hold two 190-pound pilots and baggage. If weight and balance permit, wing lockers add to baggage capacity. In my review of the SportCruiser I found easy and forgiving manners with stalls so docile as to be uneventful. The design is basically stall-resistant due to the wing tip design, said factory reps. With a fairly thick wing, the PiperSport flies somewhat slower, which makes it more appropriate for lower-time pilots. You can land the SportCruiser in a short space, given its very low operating speed of 30-40 mph. Slow speeds also dramatically reduce energy in the event of an upset. Piper plans a few design improvements. These include modifications to make it less sensitive in pitch, reinforcement to the nose gear, and enhancing cabin heat and ventilation. Company officials forecast these changes when the aircraft begins to ship in volume in April '10. Powered by the ubiquitous 100-hp Rotax 912 ULS engine now boasting a 2,000-hour time between overhauls, the mostly metal PiperSport gains a measurable weight advantage over the SkyCatcher and its heavier Continental powerplant. I consistently witnessed lower-altitude climb rates greater than 1,000 fpm at about 65 knots, the listed best rate of climb speed. Right off the deck, I saw a 1,200-fpm climb rate. As desired, electric flaps can be fully deployed in 5 seconds as long as you take care to remain below the 75-knot maximum flap speed. With a little headwind on my first landing, I rolled to a stop in about 300 feet. During their press conference, factory officials said the PiperSport will ship in three versions, all of which include a Dynon D100 primary flight display, Garmin GPS 496, a single Garmin SL40 radio, GTX 328 transponder and a BRS parachute. Base price is $119,900, only a shade more than the SkyCatcher, though the parachute alone represents around $5,000 installed. For $129,900, you can have a PiperSport LT delivered with a second Dynon display for engine monitoring. At $139,900, the PiperSport LTD includes a Dynon autopilot to help hold heading, navigation, and altitude. Admittedly, adding the parachute system consumes a bit of payload capacity, resulting in a 560-pound useful load figure that permits 380 pounds of passengers but no baggage, assuming a full fuel load of 30 gallons. After the Expo, I communicated with another pilot who had a few suggestions for Piper's engineers. Finbar Sheehy wrote, "The seat position is too low and too reclined," which he says affected his forward visibility. "In addition, the pilot's eye line is pretty far aft over the wing, severely limiting downward visibility. If the pilot sat more upright/higher, the view over the nose and in front of the wing (downward) could be much improved." Regarding handling qualities, Sheehy thought lightening the roll a bit and slightly increasing pitch pressures could improve control harmony. For normal takeoffs, set one notch of flaps; an electric motor deploys the surface 10°. Lesser flap angle deployments are possible because of the efficient Fowler flap system. Landings call for two notches or 20° of flaps and a maximum deployment of 30° is available. When you deploy flaps, the nose drops enough to improve landing visibility. I tried one landing without any flaps and found the round-out to be somewhat more abrupt. In my experience, using flaps made for smoother touchdowns at various settings, but no additional power was needed, indicating good controllability in the event of an engine-out landing. If you want to make even steeper approaches, a deep slip can be comfortably achieved. SportCruiser experts indicated slipping with full flaps creates no control problem, and that was my experience. I discovered turns could be done to shallow angles with no use of rudder and without strong feelings of slipping or skidding. Adverse yaw is very modest and you generally won't need much rudder to fly the plane. SILHOUETTE SHOT - With its fairly thick wing, the PiperSport flies slowly enough that lower-time pilots would probably feel comfortable flying it. Class Act Most experts would call the SportCruiser a medium-performance aircraft. However, in one common measure of an airplane design, the PiperSport will manage the esteemed 4:1 ratio of slowest to fastest speeds. To me, the real magic is that this airplane can fly slowly so well. Pigeonholing the PiperSport as a "medium performer" understates this relatively modestly priced aircraft. Piper advertises the PiperSport as a 138-mph airplane, but that has to represent a near-max power setting.A more realistic sustained cruise speed might be 130 mph (113 knots), only 2 knots below the listed speed of a Piper Warrior, which costs $290,000. The never exceed speed is a generous 160 mph, almost 30% beyond normal cruise, yielding wider, safer margins for over-speed situations. The SportCruiser was known for having a "huge weight and balance envelope," according to its developers in the Czech Aircraft Works days. They added that its sensitivity to aft center of gravity is very low.Weight-and-balance planning is always wise, of course, but the SportCruiser appears easy to keep in the acceptable range. In all the evaluations I performed, I found the SportCruiser to be a well-behaved aircraft that showed no bad traits. Even when stalls were done fairly aggressively, the wings didn't tend to drop except slightly in significantly accelerated stalls. I have no reason to believe Piper Aircraft will lose these qualities, even as they make a few tweaks of their own. PRESS CONFERENCE - On U.S. Sport Aviation Expo's opening day, Piper Aircraft unveiled two new PiperSports at the company's press conference, which drew a substantial crowd. It was the Vero Beach company's first-ever exhibit at Sebring. 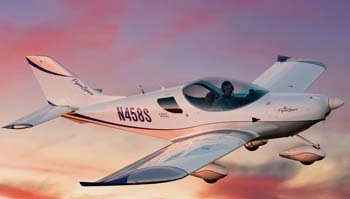 Piper LSA For You? If you are in the market for a higher-end airplane - north of the $100,000 divide in the vast range of Light-Sport Aircraft - Piper Aircraft offers an attractive alternative to two other choices: Cessna, and its also-legacy brand; or the rest of the industry, largely composed of companies not known 5 years ago. Many readers have now become accustomed to European brands like Flight Design, Tecnam, and Remos, along with a few familiar American names like RANS and CubCrafters. Some readers will be candidates for far-less costly "alternative" Light-Sport Aircraft (weight shift, powered parachutes, or fixedwing models selling for less then $100,000.) 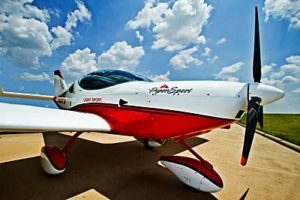 But if you have been waiting for a major American brand to offer an LSA, the PiperSport may be The One, backed up with a 5-year, 500-hour warranty that Piper Aircraft calls "best in the class." Customers may feel a heightened sense of security in spending $120,000 to $140,000 for an already proven airframe that has established itself firmly in the top 10. BIG FOLKS - The company's PiperSport "Go Team" included, left to right: Jackie Carlon, CEO Kevin Gould, and Vice President and PiperSport Project Manager Derek Zimmerman. TIMELESS BEAUTY - Before Piper Aircraft starts shipping PiperSports in April '10, the company plans to make it less pitch-sensitive, reinforce the nose gear, and enhance cabin heat and ventilation. EFFICIENT FLAPS - Because the PiperSport is equipped with a Fowler flap system, lesser flap angle deployments are possible. RENAMED - Piper Aircraft has added their well-recognized logo to the SportCruiser, transforming it into the PiperSport. After the 2010 Expo, this particular example was shipped to Singapore, home of Piper's majority owner, Imprimus. BROAD INTERIOR - The PiperSport boasts a 45-inch cabin and offers a good panel as standard equipment. Also standard: a BRS airframe parachute. 2 Can accommodate more weight with careful weight & balance calculation, according to factory. If weight and balance will accommodate, 40 lbs. can be placed in each wing locker for a total of 120 pounds. Options Second Dynon display; Dynon three-element autopilot; Garmin 695; paint options. Contact Piper for additional items added as deliveries begin. Construction Aluminum airframe, hydroformed aluminum wing ribs, all-aluminum wings and tail; composite cowling and other components. Made in the Czech Republic by a Czech-owned company; distributed by Piper Aircraft in the USA (Piper is majority owned by Singapore-based company). 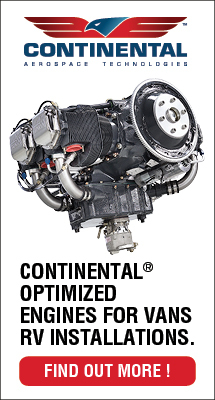 Pros - Proven LSA design now represented by a legacy general aviation company. 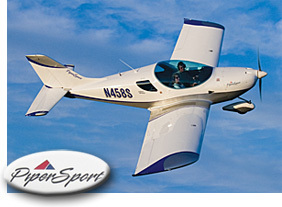 Certified in March 2006 (#18), the SportCruiser - now PiperSport - enjoyed success in flight schools. Since its introduction, numerous improvements have been made. Factory has pursued a third-party audit by LAMA. Cons - Company manufacturing the PiperSport (Czech Sport Aircraft) went through a difficult transition in 2009 and some owners still have questions. 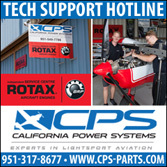 Piper Aircraft is not manufacturing the PiperSport; they are only a distributor. Pros - Standard model well equipped by Piper; commonly optional systems (e.g., parachute) make a good value for base price. Electric trim and flaps. Dual wing tanks with 30-gallon capacity. Garmin 496 GPS is standard along with Garmin radio and transponder. Cons - Cowling must be removed for major engine access. Wing fuel tanks, while often thought safer, require more effort during fueling than single tank. Electric flaps not as fast or certain as a mechanical lever. Pros - During evolution, cockpit widened to spacious 45+ inches. Standard leather seats appreciated by most buyers, positively affecting resale. Pedal distance adjusts; can fit good range of occupant sizes. Assuming weight and balance, baggage area is unusually generous with additional wing lockers. Four-point seat restraint. Cons - Entry to (any) low-wing airplane can present challenges for some potential buyers. Bubble canopies can get hot in warmer climates, less easily ventilated during taxi. No separate seat adjustment. Seat angles may not please everyone. Pros - Differential braking augments castoring nosewheel for good ramp maneuverability. Excellent traffic visibility through quality bubble canopy. Gear has proven up to the duty of flight training. Good ground clearance. Cons - Not all pilots like castoring nosewheel steering, possibly affecting resale. Ventilation during ground operations may require leaving canopy party open. Bubble canopy opening must be handled carefully in strong winds. Pros - Fast takeoff with short ground roll and enthusiastic climb rates (more than 1,200 fpm off the runway observed) make for a great short- or soft-field performer. Visibility is excellent during all takeoff and landing operations. Can approach quite slowly. Flaps easily deployed; slips work effectively. Cons - Electric flaps take somewhat longer to deploy than mechanical. Though previously flown on floats, low wings aren't preferred for such operations. Cannot observe main gear during touchdown. Pros - Excellent handling qualities, even at very slow flying speeds where ailerons remain quite effective. Dutch rolls went well, quickly attesting to easily learned handling. Adverse yaw is low; not much rudder is needed. Cons - Some pilots have observed mild disharmony between controls; pitch is on light side of average while aileron inputs are slightly higher. Steeply banked turns tighten up without modest high-siding. Pros - Spirited climb rate right off runway and well sustained to medium altitudes evaluated. Good cruise speed, competitive with others in Piper's line. Great range on 30 gallons of fuel; lower fuel burn than any other Piper aircraft. Superb low-speed flight (with responsive handling). Cons - A handful of other SLSA may be faster; the PiperSport uses a thicker wing section (which helps it fly slowly very well, even if it may take a few knots off the top). Glide also not as strong as a few other brands (though most folks will find glide more than adequate). Pros - Very benign stall characteristics in all regimes. Very slow stall speeds; can aid short- or offfield landings. Longitudinal stability is excellent. Response to power change is as expected. Piper elected to provide airframe parachute as standard in all models (a substantial added benefit buyers often appreciate). Cons - Test aircraft exhibited a slight pull to left at cruise (probably an adjustment on this one aircraft). Roll-out forces from steep turns required firmer stick movement. No other stability negatives. Addresses the questions: "Will a buyer get what he/she expects to buy, and did the esigner/builder achieve the chosen goal?" Pros - Manufactured in Czech Republic, design was originated by American ownership. Even in new field of LSA, the SportCruiser/PiperSport has established itself with a good record and generally satisfied customers. Earlier SportCruiser dealers are welcomed into Piper's distribution plans; some offer good expertise in make and model. Cons - Price increased with new representation compared to many sold by former manufacturer/distributor. Some uncertainties remain among prior customers regarding new Czech ownership (though Piper should help put these to rest). Piper will have to manage a long-distance supplier relationship. Legacy Brand Enters the LSA Market The U.S. 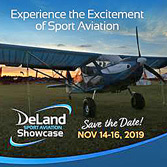 Sport Aviation Expo held in Sebring, Florida, every January has become the place where new flying machines and other aviation products for the light aviation crowd are unveiled to the public. It’s exciting to start the year off with a bang, and understandably this show has drawn increasing crowds. Yet like all events, it has evolved. In the Expo’s formative years, media attendance was fairly light. When a company called a press conference, they generated only a handful of reporters and photographers. In many ways the 2010 event revealed a new media attention to the Sebring show. For proof, you had only to attend Piper Aircraft’s opening-day press conference. This is all the more surprising as Piper never before exhibited at Sebring. All that changed with the introduction of the newly rebadged PiperSport. When they took the wrapping off their new models, a large crowd of media folks and the general public pressed close to get a gander and hear Piper leaders speak. Flights Inc., uses the Skycatcher for basic training. Skycatcher uses the exclusive-to-Cessna Garmin G300. Though basic, Skycatcher is comfortable. See a full-length pilot report. SportCruiser's Colorado dealer promotes the Sportshares partnership program. With all the electronic goodies installed, students get a modern training platform. Roving reporter Dave wraps up coverage of the Rocky Mountain LSA Expo event. —DJ |||| “Cessna is one of the most recognized names in the aviation industry. Last year it lead the LSA market for new registrations. So I was surprised to hear again and again, ‘Look, there’s a Skycatcher; this is the first time I’ve ever seen one.’ Honestly, I heard that phrase or one very similar to it at least 30 times! 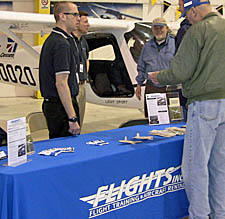 *** “Flights, Inc., was at the Rocky Mountain Light Sport Aircraft Expo for the first time. They operate one of the largest Part 141 flight schools in Colorado, teaching with Cessna 172s and 182s, Piper Seminoles, and now, the Cessna Skycatcher. 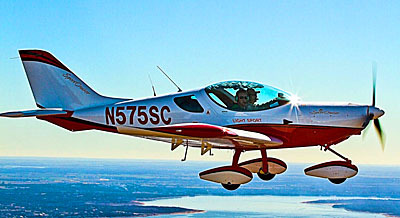 ‘The Skycatcher is the only light sport aircraft built by a mainline aircraft manufacturer,’ reported the big flight school. ‘It is also one of the few light sport aircraft powered by a Continental 0-200 engine.’ They elaborated, ‘This gives Skycatcher a better power-to-weight ratio than a 172, with the 100 horsepower calculating to 13.2 pounds per horsepower.’ Flights Inc., added that this gives the Skycatcher excellent short field landing and take off performance and, remember, we’re talking about a mile-high location with soaring density altitude. For just one year Piper added their logo to the SportCruiser, calling it PiperSport. It sold well. Especially configured and priced for flight schools is the SportCruiser Classic model. With the traditional "six pack," plus Garmin's touchscreen aera and radios, the Classic can work well in a flight school. In the year following Piper's departure from the LSA market, you may have expected a big slow-down for importer U.S. Sport Aircraft (USSA). Many believed the removal of the Piper brand would cause a loss of loyalty and that sales would flat line. *** Those people may have forgotten how well the SportCruiser did before Piper got involved. The dark forecast turned out to be wrong thanks to hard work by USSA boss Don Ayers, Donato Martino, and their staff. SportCruiser models have logged 20 registrations in nine months of 2011, a performance that keeps them high on our Market Share Chart even as Cessna has zoomed upward. Now, the Florida company has a new model and a new man to help promote it. *** USSA President Don Ayres announced a new model of the Czech Sport Aircraft SportCruiser positioned as an affordable training aircraft. "The majority of our customers have transitioned from Cessna and Piper aircraft not because it fits in the Sport Pilot category but because the SportCruiser offers a more exciting experience at significantly lower hourly operating cost when compared with traditional aircraft." Flight schools value lower costs, too. *** The SportCruiser Classic features the good performance and handling of the regular SportCruiser and is equipped with a traditional 6-Pack of analog gauges — attitude indicator, heading, altimeter, airspeed, rate of climb, and turn and bank — plus analog engine gauges (photo). Avionics on the Classic include a Garmin SL40, Garmin Aera 500 GPS, Garmin GTX 327 Transponder and a PS Engineering PM 3000 Intercom. Adjustable rudder pedals with toe brakes, electric pitch and aileron trim and an Ameri-King AK-451 ELT are standard equipment on the Classic. *** USSA set an introductory price of $119,500, which includes transportation and document charges, FOB Ft. Pierce, Florida or Dallas, Texas. The importer operates multiple locations to better serve customers. USSA plans to bring their new SportCruiser Classic and a new Dynon SkyView equipped SportCruiser SVA to Sebring. "We have several planes, including a few PiperSports in stock and available for immediate delivery," stated Ayres. *** To spearhead sales of the SportCruiser Classic (and other models) to flight schools, USSA has added Bob Anderson to their staff. Anderson is a veteran of LSA sales and previously a flight school owner also known for specializing in LSA aircraft used in flight training. He worked with SportCruiser before Piper jumped in, then departed to lend his experience to the Remos organization for a period. "After a year on the beach I finally found a home in LSA back where I started, with the SportCruiser," said Anderson. In the year following Piper’s departure from the LSA market, you may have expected a big slow-down for importer U.S. Sport Aircraft (USSA). Many believed the removal of the Piper brand would cause a loss of loyalty and that sales would flat line. *** Those people may have forgotten how well the SportCruiser did before Piper got involved. The dark forecast turned out to be wrong thanks to hard work by USSA boss Don Ayers, Donato Martino, and their staff. SportCruiser models have logged 20 registrations in nine months of 2011, a performance that keeps them high on our Market Share Chart even as Cessna has zoomed upward. Now, the Florida company has a new model and a new man to help promote it. *** USSA President Don Ayres announced a new model of the Czech Sport Aircraft SportCruiser positioned as an affordable training aircraft. “The majority of our customers have transitioned from Cessna and Piper aircraft not because it fits in the Sport Pilot category but because the SportCruiser offers a more exciting experience at significantly lower hourly operating cost when compared with traditional aircraft.” Flight schools value lower costs, too. U.S. Sport Aircraft delivered a SportCruiser/PiperSport to Brazil. Flight Design was first into China with an LSA. Since the beginning of LSA time, way back in 2005 (when the first LSA was approved), LSA have arrived on American shores from overseas factories. 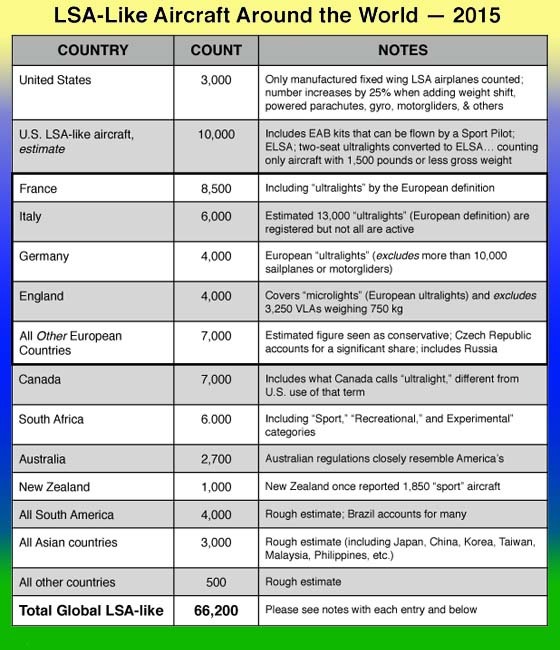 American producers also sold airplanes to Yankees, but none went overseas as governments of other nations had not yet accepted ASTM certification standards. In the last year, a lot has happened. *** At least four companies are selling LSA in other countries with aircraft defined by U.S.-originated parameters and meeting ASTM standards. LSA Global developments are reported by Arion Aircraft, U.S. Sport Aircraft (representing Czech Sport Aircraft), Remos Aircraft, and Flight Design. *** Yankee First? Arion Aircraft is one of the first all-American companies to go global with its production. The Marysville, Tennessee company -- a related company to Jabiru U.S., which supplies the J230 and other high wing models to LSA buyers in the USA -- has sent aircraft to Australia. The down-under country was one of the first to use ASTM certification after the new approval method was introduced by FAA in America. I am not aware of any other U.S.-based company that has sold LSA products outside the States. Arion's Pete Krotje also told me of interest from Brazil, one of the newest countries to OK use of ASTM certification standards. *** South American expansion U.S. Sport Aircraft spokesman Donato Martino said, "We believe we are the first company to actually sell and deliver an LSA to a customer in Brazil. Paul Kramer was our ferry pilot who commanded the entire 4,300 nautical mile flight in PiperSport/SportCruiser N297PS from Fort Pierce, Florida to Curitiba, Brazil. Paul kept a detailed log of his journey and wrote a story about the effort. It took several months of planning and document preparation but we did pull it off and will most likely be delivering more SportCruisers to Brazil." The SportCruiser is built in the Czech Republic by Czech Sport Aircraft. 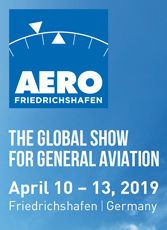 *** German Export Recently reorganized German manufacturer Remos Aircraft has been renewing dealerships around the world including a tour through the USA. The company also reports winning approval from aviation agencies in India and Brazil for their GX design while in South Africa, Remos obtained a Type Certificate, the company added. "This assures that India and Brazil, which have not yet established LSA certification, will grant airworthiness certificates in reciprocal recognition of the EASA LSA Type Certificates," stated Theo Paeffgen, CEO. He noted that in South Africa, the government has now developed LSA type certification standards. *** Chinese Connection LSA market leader Flight Design has delivered aircraft to China where the German company has earned a Type Certificate under Chinese rules. It was the first LSA manufacturer to gain support from China aviation authorities and, like other aviation enterprises, Flight Design anticipates sales growing significantly as that country opens aviation to personal use for the first time (before last year, all aviation in China was solely military or airline). *** As the second-largest aviation market in the world after the USA, Europe also factors large. The approximate equivalent to FAA, EASA has now issued their Certification Specification for LSA (CS-LSA) so EU countries can also move toward sales of LSA types. Costs remain a concern as EASA charges manufactuers for approvals and oversight where in the U.S., these costs are borne by taxpayers. Another difference: In Europe, no speed limit exists for this category of aircraft; in-flight adjustable props are permitted to generate higher cruise speeds. Since ASTM standards accommodate these features, this presents no problem even if American buyers have a speed limit and must use fixed pitch props. *** My LAMA Europe affiliate, Jan Fridrich, first coined the phrase "LSA Global" and, increasingly, it appears his foresight is proving accurate. Since the beginning of LSA time, way back in 2005 (when the first LSA was approved), LSA have arrived on American shores from overseas factories. American producers also sold airplanes to Yankees, but none went overseas as governments of other nations had not yet accepted ASTM certification standards. In the last year, a lot has happened. *** At least four companies are selling LSA in other countries with aircraft defined by U.S.-originated parameters and meeting ASTM standards. 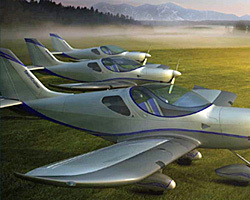 LSA Global developments are reported by Arion Aircraft, U.S. Sport Aircraft (representing Czech Sport Aircraft), Remos Aircraft, and Flight Design. *** Yankee First? Arion Aircraft is one of the first all-American companies to go global with its production. The Marysville, Tennessee company — a related company to Jabiru U.S., which supplies the J230 and other high wing models to LSA buyers in the USA — has sent aircraft to Australia. The down-under country was one of the first to use ASTM certification after the new approval method was introduced by FAA in America. First off, a correction: Though I took the proposed renaming of PiperSport to "SuperCruiser" directly from a Czech Sport Aircraft (CSA) news release, the new name did not stick. It'll be the SportCruiser as it was before Piper assumed worldwide distribution. *** Widely reported in aviation media, Piper abruptly ended their almost-year-long relationship with manufacturer CSA in what appears to be a dispute between the two investment companies that own both CSA (Slavia Capital) and Piper (Imprimis). Following Piper's termination news release, CSA announced that they sought more worldwide sales and felt Piper was too focused on America. *** Whatever the true tale, the popular aircraft will have continued support in the United States thanks to Florida based U.S. Sport Aircraft. USSA was the importer since 2008 and remained involved through the Piper era. Company president Don Ayres stated, "Under the name PiperSport, the SportCruiser was the LSA sales leader in the United States, with a total of 45 units delivered to customers in the last 6 months of 2010." 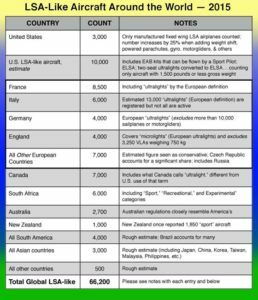 Don added, "Every PiperSport sold in the US was imported, licensed, registered and sold through US Sport Aircraft and a dealer network, under a distributorship agreement with PiperSport Distribution, Inc. Continued airworthiness support, parts, warranty and technical information for the airplane has always been, and will continue to be, through US Sport Aircraft, its dealer network and CSA. Truly, nothing has changed except for the name on the side of the plane." *** Speaking on behalf of CSA, Martin Zikes reported, "The factory is immediately shipping a complete inventory of parts to America, so both PiperSport and SportCruiser owners can be assured of continuing parts and warranty support." The Czech company, which took over ownership from founder Chip Erwin and his Czech Aircraft Works, reports 500 aircraft flying in 24 countries. *** Indeed, as Piper lead in FAA registrations for 2010 and added to the SportCruisers delivered earlier, the model recently dislodged American Legend as the number two ranked company for total LSA fleet size in the USA. Those 161 registered owners of SportCruisers or PiperSports should enjoy good support going forward. First off, a correction: Though I took the proposed renaming of PiperSport to “SuperCruiser” directly from a Czech Sport Aircraft (CSA) news release, the new name did not stick. It’ll be the SportCruiser as it was before Piper assumed worldwide distribution. *** Widely reported in aviation media, Piper abruptly ended their almost-year-long relationship with manufacturer CSA in what appears to be a dispute between the two investment companies that own both CSA (Slavia Capital) and Piper (Imprimis). Following Piper’s termination news release, CSA announced that they sought more worldwide sales and felt Piper was too focused on America. *** Whatever the true tale, the popular aircraft will have continued support in the United States thanks to Florida based U.S. Sport Aircraft. USSA was the importer since 2008 and remained involved through the Piper era. Company president Don Ayres stated, “Under the name PiperSport, the SportCruiser was the LSA sales leader in the United States, with a total of 45 units delivered to customers in the last 6 months of 2010.” Don added, “Every PiperSport sold in the US was imported, licensed, registered and sold through US Sport Aircraft and a dealer network, under a distributorship agreement with PiperSport Distribution, Inc. Flying into the sunset for the one-year-old relationship between Piper Aircraft and Czech Sport Aircraft. Spokesperson Jackie Carlon announced the beginning of Piper's foray into Light-Sport Aircraft at Sebring 2010. In stunning news just before the Sebring LSA Expo starts, Piper Aircraft announced they will be terminating their business relationship with Czech Sport Aircraft, the Czech republic-based manufacturer of the PiperSport (previously known as the SportCruiser from initial developer Czech Aircraft Works). *** "After a year working with Czech Sport Aircraft, Piper determined that it is in our company's best long-term interests to discontinue the business relationship..." said Piper CEO Geoffrey Berger. "Clearly, the company has a different business perspective and approach to the market than Czech Sport Aircraft," he added. The company stated that "it became clear that Piper's core strengths and that of Czech Sport Aircraft were mismatched." *** This follows a year that saw Piper register more new SLSA than any other company, almost reaching their sales target announced at last year's Sebring. (see note at bottom) "We at Piper have a close affinity with this emerging segment of the marketplace and we have great expectations for the LSA industry. The LSA we were distributing is a good one and we encourage aviation enthusiasts to continue their support of this segment of the market," Berger added. *** Piper will honor their sponsorship of Sebring's U.S. 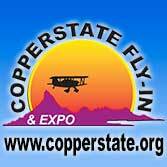 Sport Aviation Expo and staff will be present at Sebring 2011. *** Meanwhile, spokesperson Jackie Carlon emphasized the Vero Beach, Florida-based company remains, "very enthusiastic about the LSA industry and market. We will look at opportunities, but have no immediate plans to replace the PiperSport." Carlon clarified that Piper sees "significant opportunities" in the LSA space, for student pilots plus experienced pilots seeking an aircraft. *** In the end phrases such as "differences in business philosophies" and "fundamental differences" identify that Piper Aircraft's action reported here is one of severing ties to Czech Sport Aircraft more than any doubt regarding the Light-Sport Aircraft market. *** Piper registered a total of 54 PiperSport SLSA in 2010. They had forecast 75 units, but the actual number represents a solid performance in a down year. Look for our full-year LSA market report to follow. As always remember that registrations may not equal aircraft deliveries; Piper may state a different figure for their 2010 sales. For more on this breaking story, see Jim Lawrence's report below. In stunning news just before the Sebring LSA Expo starts, Piper Aircraft announced they will be terminating their business relationship with Czech Sport Aircraft, the Czech republic-based manufacturer of the PiperSport (previously known as the SportCruiser from initial developer Czech Aircraft Works). *** “After a year working with Czech Sport Aircraft, Piper determined that it is in our company’s best long-term interests to discontinue the business relationship…” said Piper CEO Geoffrey Berger. “Clearly, the company has a different business perspective and approach to the market than Czech Sport Aircraft,” he added. The company stated that “it became clear that Piper’s core strengths and that of Czech Sport Aircraft were mismatched.” *** This follows a year that saw Piper register more new SLSA than any other company, almost reaching their sales target announced at last year’s Sebring. (see note at bottom) “We at Piper have a close affinity with this emerging segment of the marketplace and we have great expectations for the LSA industry. Accompanying this article is our customary chart showing market share of the entire fleet of LSA. I've received a few comments over recent months that we should emphasize current-period results. Market share for many products, computers, for example, are given as total market share ("Windows has 90% of the market."). *** In truth, I have reported current-period results in the article text for the last few updates. We've collected all market reports to make reviewing them easier. Here's a look-back with emphasis on results only for 2010. *** With 83% of the year (10 months) accounted for, Piper's legacy brand is convincingly leading the market. At 43 airplanes registered in 2010 (24% of all registrations), the Vero Beach, Florida company is rising rapidly. Note as always that these figures do not match actual sales activity at companies. *** Following Piper, CubCrafters is enjoying a strong year, said Jim Richmond at AOPA as his company added 37 LSA registrations (20% of all '10 LSA). The company also has a Part 23 line and does service work on Cub-types, so the enterprise is surviving well in this downturn. *** No one should be surprised that Cessna added 29 Skycatchers (16%) to FAA's registry (the source of all figures for this report). 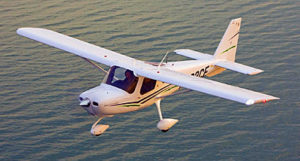 Other reports suggest Cessna should ship about 150 LSA for 2011, which will sharpen an already-close battle for second place. *** Looking at overall fleet share, American Legend, Czech Sport Aircraft (Piper), and CubCrafters are within a few aircraft of one another. Tecnam is within easy catch-up range, and Cessna will likely join this club in 2011. Remos may resurge and the Jabiru/Arion group is also tantalizingly close. All these brands trail perpetual market leader Flight Design by a wide margin. *** Back to 2010... industry stalwarts Flight Design and Tecnam are having OK years at 17 (9%) and 14 (8%) respectively registered in the first 10 months of the year. Next up is newer arrival, the Lightning with 9 (5%) new registrations, followed by American Legend at 6 and Paradise at 5 registered. *** Honorable mentions for registration activity in 2010 go to TL/SportairUSA for adding four new Sirius; Aerotrek with four new A-series LSA; Skykits with four Savannah, FPNA with three A-20 series models; and, 3Xtrim with a pair of Navigator 600s. *** At 182 registrations and projecting to a full year, I estimate 218 new registrations in 2010, down 4% from an also dreadfully slow 2009. After two years of waiting for greater certainty in the economy, several industry veterans believe buyers could unleash some pent-up demand in 2011. Accompanying this article is our customary chart showing market share of the entire fleet of LSA. I’ve received a few comments over recent months that we should emphasize current-period results. Market share for many products, computers, for example, are given as total market share (“Windows has 90% of the market.”). *** In truth, I have reported current-period results in the article text for the last few updates. We’ve collected all market reports to make reviewing them easier. Here’s a look-back with emphasis on results only for 2010. *** With 83% of the year (10 months) accounted for, Piper‘s legacy brand is convincingly leading the market. At 43 airplanes registered in 2010 (24% of all registrations), the Vero Beach, Florida company is rising rapidly. Note as always that these figures do not match actual sales activity at companies. *** Following Piper, CubCrafters is enjoying a strong year, said Jim Richmond at AOPA as his company added 37 LSA registrations (20% of all ’10 LSA). Perhaps you've noticed we have not been reporting market share information as often as we once did. Two reasons: (1) the market has matured, meaning the leaders are distancing themselves from niche producers and the rank positions aren't moving around as much; (2) in the economic doldrums, the numbers simply haven't been changing as quickly. *** But since the last report, some action occurred that shines a spotlight on an expected development. The aviation Big Boys are climbing upward... Piper advanced into the #3 spot, pushing also-strong CubCrafters down a notch. The legacy Florida company is closing on #2 American Legend. Secondly, while still well down the chart, Cessna moved up from #20 to #17 enroute toward the top. Based on the company's reported 1,000+ orders, it seems only a matter of time before they outrun everyone. Or, will they...? *** Nothing is sure in business (or economies, it appears). And several LSA producers have been nimble, adding new products, building new dealer and flight school networks on a steady pace, and notably, not having to carry old baggage. *** Indeed, at least one producer (who must remain nameless) said a post-Oshkosh uptick in orders can very likely be attributed to Cessna's growing Skycatcher fleet. The theory is that when Cessna (and Cirrus) first announced LSA projects, the existing LSA market benefitted from the validation this represented. Cessna studied long and hard and concluded, "Yes, we are sure a market for a Light-Sport Aircraft exists." *** Then quite of bit of time passed and we saw no Skycatchers except as part of the company's airshow displays. That's over. Cessna is shipping. This may help other strong players as customers signal growing acceptance of LSA. *** Perhaps it's the impending U.S. elections or a drop in jarring news headlines, or whatever... but the LSA market appears to be showing life, and a good bit of the movement is from those Big Boys in aviation. Perhaps you’ve noticed we have not been reporting market share information as often as we once did. Two reasons: (1) the market has matured, meaning the leaders are distancing themselves from niche producers and the rank positions aren’t moving around as much; (2) in the economic doldrums, the numbers simply haven’t been changing as quickly. *** But since the last report, some action occurred that shines a spotlight on an expected development. The aviation Big Boys are climbing upward… Piper advanced into the #3 spot, pushing also-strong CubCrafters down a notch. The legacy Florida company is closing on #2 American Legend. Secondly, while still well down the chart, Cessna moved up from #20 to #17 enroute toward the top. Based on the company’s reported 1,000+ orders, it seems only a matter of time before they outrun everyone. Or, will they…? *** Nothing is sure in business (or economies, it appears). Knocking around the 'Net looking for signs that Light Sport is alive and well... *** Michael Combs is nearing the end of his 19,000 mile odyssey — what a vision. Latest word from PR dude Dave Gustafson is that the Flight for the Human Spirit in a Remos GX has made it to my old west coast stompin' grounds. Five jewels of the left coast — San Diego, Burbank, San Luis Obispo, Monterey and San Jose — were on the itinerary for one magical flight day over one of the most beautiful stretches of coastal landscape in the world. God speed Michael, 18,000 miles and 45 states and you're nearly done. • Imagine the human experience he's having, flying all summer, meeting all the great people he's met. I'm jealous, I admit it. • BTW, pilots are encouraged to fly along for any portion of Michael's Flight. *** Slow recovery? Double-dip recession? Not as far as Skyraider Aviation is concerned. This hustling sport pilot flying club and training center is plenty active at Denver's busy Centennial Airport as well as at it's Erie Municipal location nearby. A new PiperSport just joined the training and rental fleet — that's bound to perk anybody up — to share duties with two Gobosh 700s, an Evektor SportStar and a Remos G-3. • The outfit has operated for four years and claims to be the first in Colorado to offer specific Sport Pilot training. *** Loosely-Connected-to-Light-Sport-Dept. — Another of those weird and wonderful experimental alternative-powered aircraft just made its maiden flight. *** AeroVironment, the braintrust company begun by the late Dr. Paul MacCready, who gave us Gossamer Albatross, the first successful human-powered aircraft, back in the '70s, has begun flight test on Global Observer,an unmanned hybrid-electric surveillance prototype that will eventually be powered by a liquid hydrogen fuel system. • It launched from California's famed Edwards Air Force Base and flew for an hour at 4,000, controlled from a ground LRE (Launch and Recovery Element, officialese for a flight sim-like control booth) with a retired Air Force light colonel at the controls. Can you say "X-Box?" • Here's an interesting image phrase the company uses: "The future is unmanned." Indeed, it's pioneering all kinds of hand-launched small electric-powered surveillance aircraft for the military. • Global Observer will ultimately fly between 55,000 and 65,000 feet for up to a week at a time for disaster relief, reconnaissance and surveillance. Expect some sophisticated tech fallout that will in time trickle down to general aviation from projects like this. *** Not to be outdone by the West, a local news organ in the Greenville, South Carolina area reports that Spartanburg's downtown aircraft have discovered Light Sport aircraft and anticipate it will "fuel growth" at the airport. The report compares the initial purchase price and operating costs between LSA and GA aircraft. • Although it was a bit wide-eyed in its example of an LSA that will fly at 120 knots for 9 hours straight, the story clearly gets the advantage the public is beginning to perceive from our piece of the personal flight pie, and that's a good thing. *** Finishing up back on the west coast comes a news story, this time from Yakima, WA, that profiles a retired LSA pilot who flies his Challenger II from nearby Prosser Airport. The article accurately chronicles the inception of the Sport Pilot rule and claims Light Sport training is the biggest student draw at the airport — a "miniature boom in activity" — an increase of 50% in operations since 2007. *** In this economy, it's good to see the word is getting out and people remember that instead of moping around, there are still plenty of affordable ways to get out and enjoy life — like flying an LSA! Knocking around the ‘Net looking for signs that Light Sport is alive and well… *** Michael Combs is nearing the end of his 19,000 mile odyssey — what a vision. Latest word from PR dude Dave Gustafson is that the Flight for the Human Spirit in a Remos GX has made it to my old west coast stompin’ grounds. Five jewels of the left coast — San Diego, Burbank, San Luis Obispo, Monterey and San Jose — were on the itinerary for one magical flight day over one of the most beautiful stretches of coastal landscape in the world. God speed Michael, 18,000 miles and 45 states and you’re nearly done. • Imagine the human experience he’s having, flying all summer, meeting all the great people he’s met. I’m jealous, I admit it. • BTW, pilots are encouraged to fly along for any portion of Michael’s Flight.